Attorney Jonathan D. Light represents individuals and their families throughout Massachusetts who have suffered because of the wrongful death of their loved spouse or relative. Losing a loved one is never easy, but it is a tragedy when the loss occurs because of another person’s negligent or reckless actions. In addition to the sudden emotional and psychological loss of a family member, you are faced with serious financial losses associated with his or her death. In the short term, you will confront funeral, burial and medical expenses and in the longer term you will have to be compensated financially for the lost wages or income associated with the decedent’s death and for your loss of companionship and support. A wrongful death case is brought on behalf of the decedent by the administrator or executor of the estate. Damages may include loss of future net income, loss of companionship and love, and loss of support. Punitive damages may be awarded in some wrongful death cases. Damages for pain and suffering may also be recoverable against the responsible party if the decedent endured pain and suffering before his death. What constitutes a wrongful death case in Massachusetts? If the liable party displayed gross negligence in his or her actions that caused the fatal injury, the victim's family may be entitled to recover punitive damages. Gross negligence is defined as a conscious disregard of known risks which are substantially likely to cause serious harm to another person. The following may be examples of reckless conduct: driving at excessive speeds through a school zone, allowing exposed live wires on a construction site, or not providing basic fall protection to construction workers in violation of OSHA standards. Massachusetts laws regarding wrongful death cases are complex. The law strictly governs who may recover, such as a spouse, children, parents, or siblings. 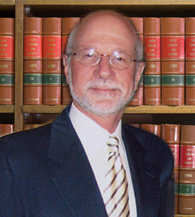 Attorney Jonathan D. Light is experienced in handling complex wrongful death cases. Some examples of wrongful death cases handled by Attorney Light can be seen in his actual case results page. The Law Firm of Jonathan D. Light, P.C. has represented injury victims and their families throughout Massachusetts since 1977 in personal injury cases including wrongful death claims. If you have lost a family member to another party's reckless or harmful actions, you may be entitled to receive compensation. Call 617-245-0220 or contact the Law Firm of Jonathan D. Light, P.C. online to schedule your free initial consultation. The firm serves clients in Boston and throughout Massachusetts.